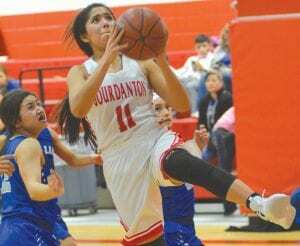 Jourdanton’s girls basketball team scraped through a pair of wins to maintain its two-game lead in District 3A-30. The Squaws (13-12, 6-0 District 3A-30) scored six unanswered points to lead 12-4 at the end of the first quarter. A little more than a minute into the second quarter, Jourdanton put Natalia in foul trouble by drawing the 10th foul. “We did a good job driving on them and drawing some fouls as well,” Jourdanton head coach Ariana Foster said. Cladi Muñoz scored eight of her 12 points in the second quarter to help the Squaws lead by double digits for most of the period. Natalia found a couple of open shots to come within 30-25 at the end of the first half. Shyanne Bauerle had two steals early in the third quarter as Jourdanton opened its lead again, extending it to 35-26 late in the quarter. Early in the fourth quarter, Vanessa Vacca made a running jump shot and Muñoz banked in a shot for a 43-30 advantage. Foster said the team did better rebounding against Natalia. Foster said the Squaws feel comfortable with a two-game district lead, but will need to keep working hard through the last five games. “The second round is going to be tough. Everyone is going to want to beat us because we’re on top,” she said. Foster said that having three of its last five games at home will help. 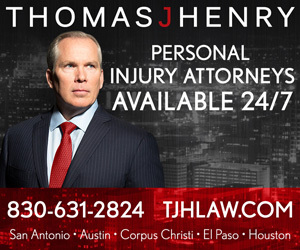 “We got our toughest two places out of the way,” she said, referring to Cotulla and Dilley. Jourdanton earned its second key road victory of the district slate on Jan. 15, beating Cotulla 49-41. Vacca led the way with 14 points. Muñoz added 11 points. Erin Soward added 10 points. Shyanne Bauerle had seven points. Jourdanton started the second half of the district run by beating Dilley 63-50 at home on Jan. 22. Soward had 15 points. Vacca added 14 points.